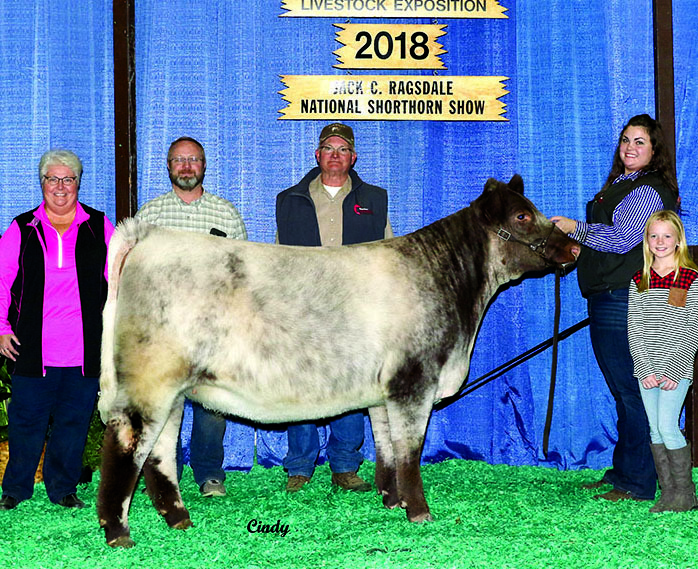 Star Catcher is the Reserve Champion Shorthorn Bull at the 2017 NAILE. 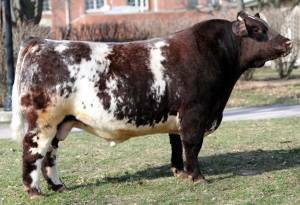 He is a long sided and deep ribbed bull that will be able to add that rib shape and dimension to your heifers that give them not only the “show ring” appeal but the capacity they need to go on to make phenomenal cows. He is smooth in his make up while maintaining that thickness and muscle shape and is amazingly correct on his structure. One of the best tempered bulls that we have ever dealt with. 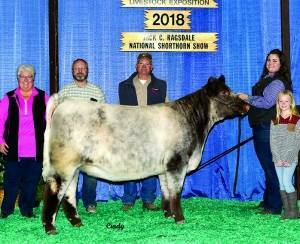 He will be an excellent addition to any breeding program, both purebred and crossbred alike.